Buried within the damning report released last week on the Upper Big Branch coal mine disaster that killed 29 workers last year were some interesting details about what could lie ahead for Massey Energy, its executives, and the safety of its operations. The report, which was commissioned by West Virginia’s former governor, noted that 18 current and former executives invoked their Fifth Amendment right to avoid self-incrimination and refused to cooperate with investigators. Nonetheless, investigators concluded that the preventable disaster was a result of a “total and catastrophic systemic failure” by Massey Energy. “It is only in the context of a culture bent on production at the expense of safety that these obvious deviations from decades of known safety practices make sense,” the report said. It also noted that the company’s practices haven’t improved much—if at all—since the disaster occurred. “More than a year after 29 men died in the Upper Big Branch mine, there is strong evidence that Massey has not changed the manner in which it operates its mines,” the report said. As we have noted, Blankenship received $2 million when he retired at the end of last year, and is scheduled to receive another $10 million in July. He’s expected to stay on as a consultant. Other top executives are faring just fine too, it seems. Shortly after Blankenship’s retirement, another company, Alpha Natural Resources, announced an agreement to buy Massey Energy, but Massey executives still scored some key management roles. Notably, Massey’s Chief Operating Officer, Chris Adkins, will oversee Alpha’s main safety program along with another Alpha executive. According to the report, “Adkins’ history makes him a questionable choice to run a safety program. One need look no further than [Upper Big Branch],” investigators said. An Alpha Natural Resources spokesman told West Virginia Public Broadcasting that the company feels good about its vetting process of Massey employees. Both criminal and civil investigations are ongoing—those will “undoubtedly” result in penalties against the company and its managers, the report said. So far, only one Massey official has faced criminal charges in connection with the disaster. He’s charged with lying to federal investigators. 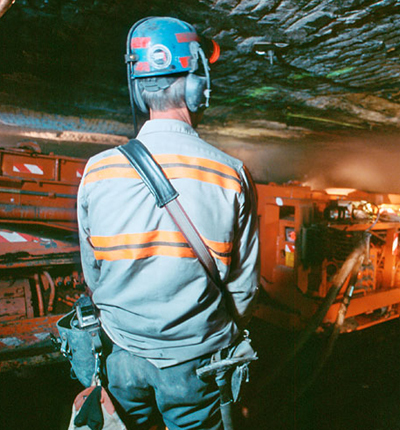 The report also revealed that autopsies of the miners’ remains showed that most of them—even those with less than 10 years of experience in mining—had black lung, a deadly disease that’s preventable if coal dust is kept under control with the appropriate safety measures. Last month Massey informed the families of victims that come June 1, the company’s $3 million settlement offer will expire, NPR reported. The company warned: “Massey does not know and cannot predict what approach Alpha will take with respect to settlement” after the merger occurs. PreviousComing to America: Tar Sands Oil from Canada?